Learning to drink independently is a key step in a child's development. 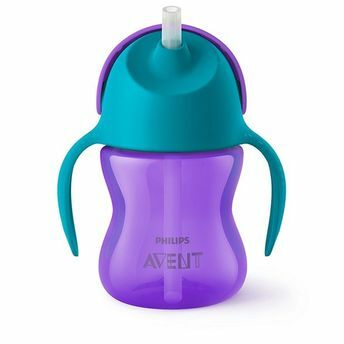 Philips Avent supports children's journey towards independent drinking, helping to enable an easy transition from breast or bottle to open cup. The Philips Avent Bendy straw cup allows healthy oral development and exercises mouth muscles, building oral strength. This straw cup is perfect for first sips, as it is leak proof and helps your child to independently use the cup. With it's unique twist lid, it reduces the hassle of cleaning the cup as it is fully disassemble-able and cleanable.